Students Rabin, Jackie, Manikandan, & Thulasi stop for a moment of rest on their busy bus tour of the NBR. It has been a week and a half since the NFLC 2016 started and it is going pretty good in all means. We have very comfortable hostels, a canteen and a classroom, all within a radius of fifty meters. The first day of the NFLC began at 9:30 am on a cold Wednesday. I knew a few things about my Cornell friends before I met them, for instance their names, the subjects they were interested in and also a little about the activities they do during their leisure. My Keystone friends are all talkative except Banti who is a little shy. Nonetheless, she always laughs at Manikandan’s name for her— Vandi meaning vehicle in Tamil. Day 1 was mostly about introducing each other and getting to know more about the others. Asking questions to individuals about themselves, their family and the place in which they lived gave the students the opportunity to have interactions between one another. 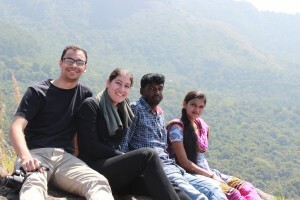 I don’t know what kind of expectation the other students had about this course but I expected it to be a typical Indian style of class for the first seven weeks after which we could do what I was more interested in, our research projects. But I was forced to change my mind on the second day itself because of the different method of learning I experienced in the classroom. Even though it was new to me I was able to understand the subject better. I also discovered that no subject was boring, the way in which I listened or understood the subject made a difference. Second Batch shares the results of their interactive mapping activity. A group activity to map the Keystone campus brought new ideas from the students to measure the campus using body parts and representing them in a 3D-figure. Each group did it in a different way and each had a unique way of thinking. The students also had a mutual understanding which was seen in the group activities. In addition to mapping the campus, the activities at ‘Happy valley’ and few more inside the campus proved that the students were a team. 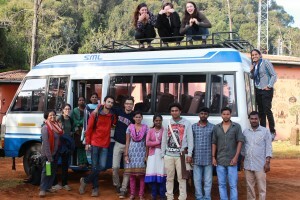 Everyone gathers around the little tour bus before departing Keystone Campus for their inaugural tour of the Nilgiris Biosphere Reserve (NBR). 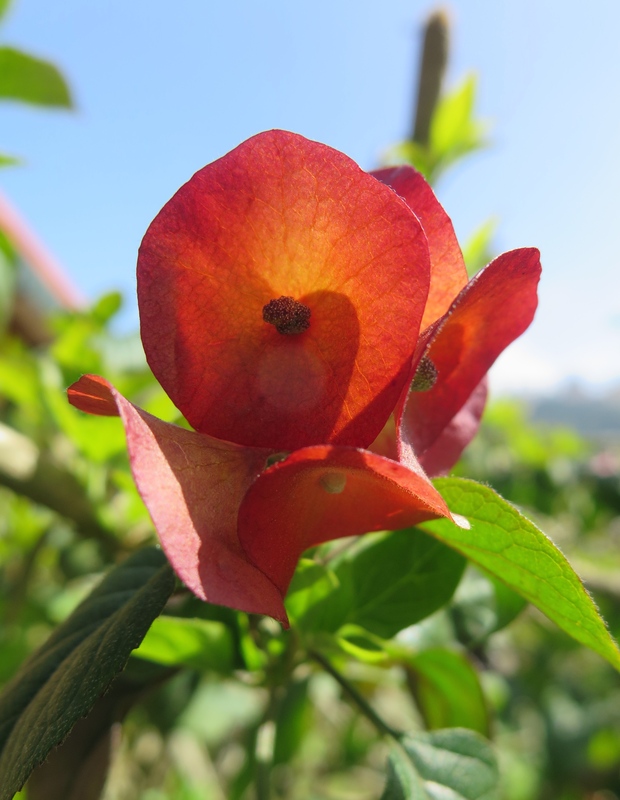 Everyone feels safe and cozy with the campus rules and have adopted to the Kotagiri climate. 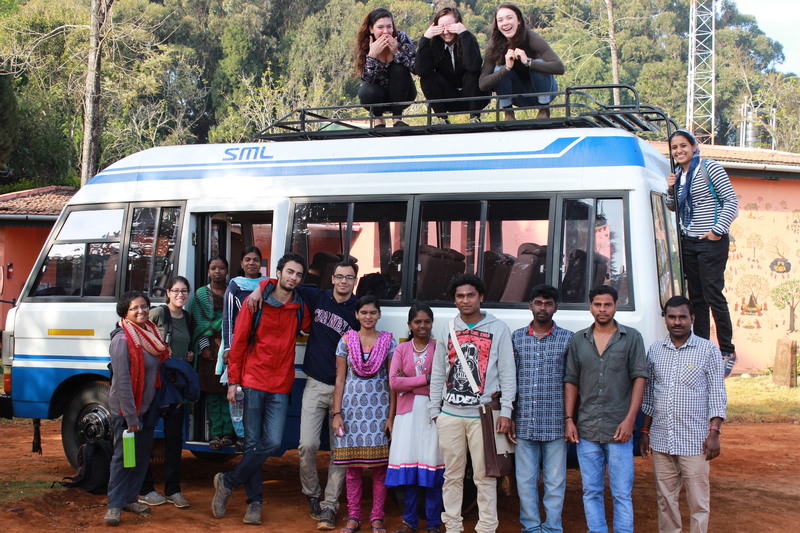 The NBR bus tour gave the students a good exposure of the different landscapes of the Nilgiris. The trip added a kind of happiness that encouraged the students to learn in an effective way with a broader view of understanding and remembering it for future discussions. The other things that were part of the NBR bus tour were music, fun, enjoyment, chocolates, cookies and some other snacks. Each day’s time table starts with a Cross Boundary Exercise (CBE), followed by letters on various subjects and later we have language classes. The afternoon sessions include having activities related to the fore-noon sessions. Every evening is winded up with a debrief of 30 minutes. 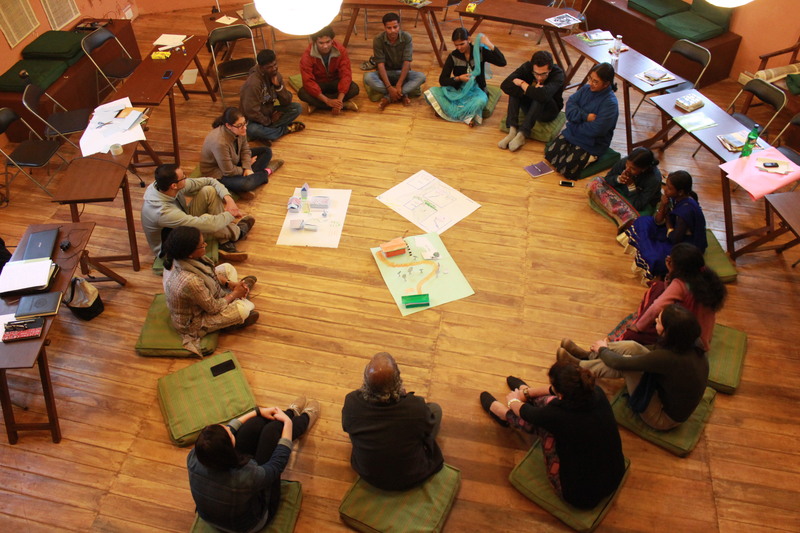 Everyone is encouraged and free to throw out their thoughts and feelings about the class and the topics discussed during the sessions. The students have more or less understood the pattern of the course and will be able to manage the coming weeks in a better way is what my current understanding is.